The world's only group conferencing devices compatible for Skype for Business/Microsoft Lync. Polycom’s legendary voice quality. 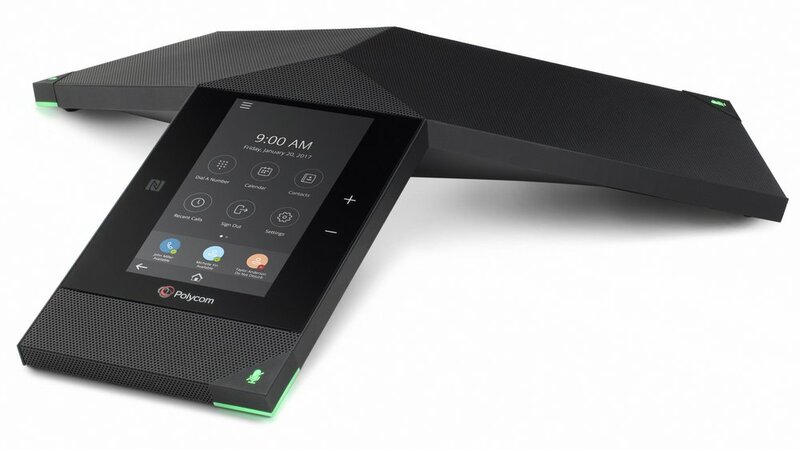 The Polycom Trio Family offers the most advanced HD Voice performance – ever. Business-class video and HD content sharing. 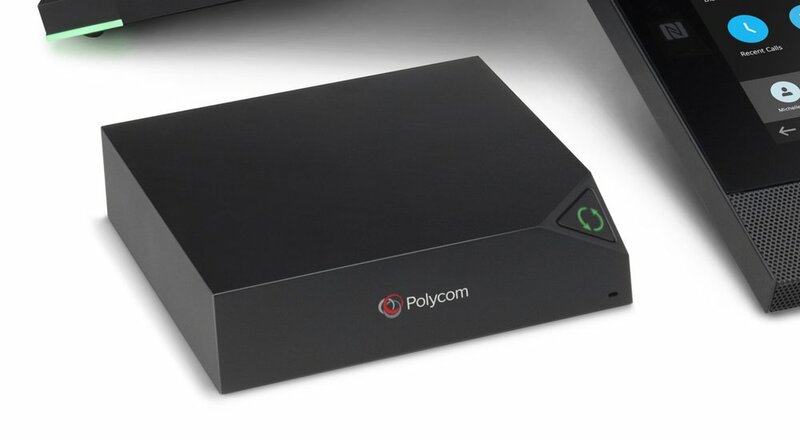 When words are not enough, the Polycom Trio 8800 easily adapts so you can add content sharing and video conferencing. Broadest interoperability of any conference phones in its class. Polycom Trio 8500 IP conference phone with built-in Bluetooth. 802.3af Power over Ethernet. SHIPS WITHOUT POWER KIT. Incl. 7.6m/25ft Ethernet cable, and Setup Sheet. RealPresence Trio 8800 Collaboration Kit, 802.3af/at PoE. Incl. Trio 8800, Trio Visual+, Logitech Webcam C930e. Ships with Ethernet cables (2.1m/4.5m/7.6m), 2m USB cable, 1.8m HDMI cable, VESA mount.NO POWER KIT. Incl 1yr Prem for CALA. Maint Cont Reqd. Power Kit for RealPresence Trio 8800 and Trio Visual+. Incl. 100-240V, 0.8A, 55V/36W, IEEE 802.3at compliant mid-span power injector for 10/100/1000 Mbps Ethernet. Ships with 2.5m/8.2ft power cord with CEE 7/7 plug and 2.1m/7ft Ethernet cable. RealPresence Trio 8500 Collaboration Kit, 802.3af PoE. Incl. Trio 8500, Trio Visual+, Logitech Webcam C930e. Ships with Ethernet cables (2.1m/4.5m/7.6m), 1.8m HDMI cable, VESA mount.NO POWER KIT. Maint Cont Reqd. Expansion Microphone kit for Polycom Trio 8800/8500. Incl. two expansion microphones and two 2.1m/7ft cables. Power Kit for Polycom Trio 8500. Incl. 100-240V, 0.8A, 56V/30W, IEEE 802.3at compliant mid-span power injector for 10/100/1000 Mbps Ethernet. Ships with 1.8m/6ft power cord with CEE 7/7 plug and 2.1m/7ft Ethernet cable. RealPresence Trio 8800 IP conference phone with built-in Wi-Fi, Bluetooth and NFC. 802.af/at Power over Ethernet. SHIPS WITHOUT POWER KIT. Incl. 7.6m/25ft Ethernet cable, 1.8m/6ft USB 2.0 cable and Setup Sheet.